Hey there, folks! This week I’m kicking off a miniseries of Marvel Cinematic Universe themed blog posts. With what is probably the biggest movie event ever only a month away, I’ve been itching to get some of these characters in stat block form. 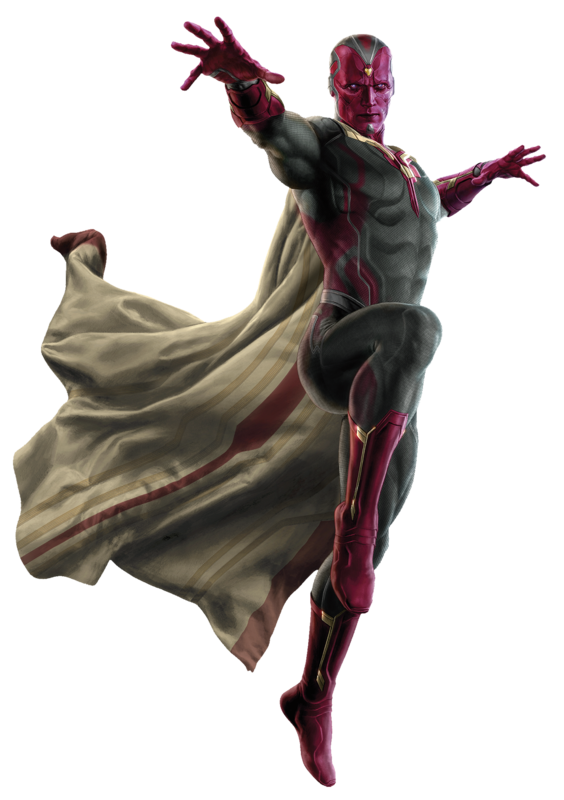 To kick things off, I’m going to take a look at that oh, so lovable vibranium man, Vision! Energy Blast (Ex) Vision’s energy blast deals force damage and has a range of 120 feet. Holographic Manipulation (Ex) Vision can project a hologram to alter his appearance, allowing him to take on the form of a human man. This otherwise functions as a constant disguise self effect. 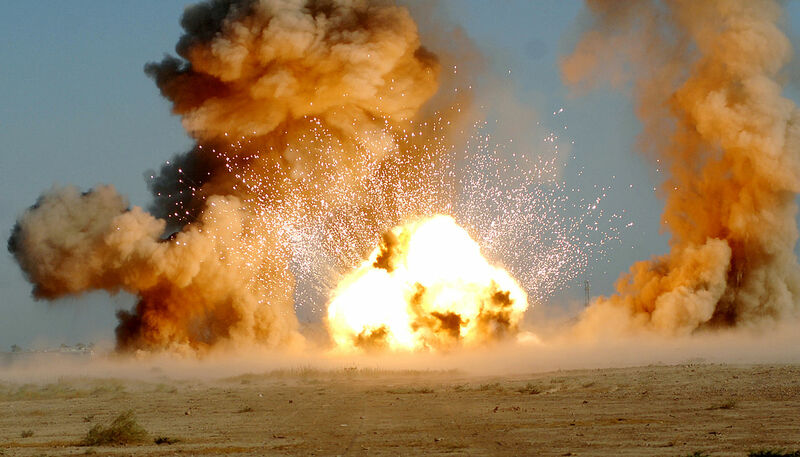 Matter Phasing (Ex) Vision can become insubstantial as a swift action. This functions as ethereal jaunt except the effect ends at the end of Vision’s turn. Vision is a unique android created with the use of a super-powerful AI. Sporting a body made from vibranium, an extremely rare element unmatched in hardness and versatility, Vision is a living marvel. His body is powered by an infinity stone, a powerful stone-like object tied to the birth of the universe. 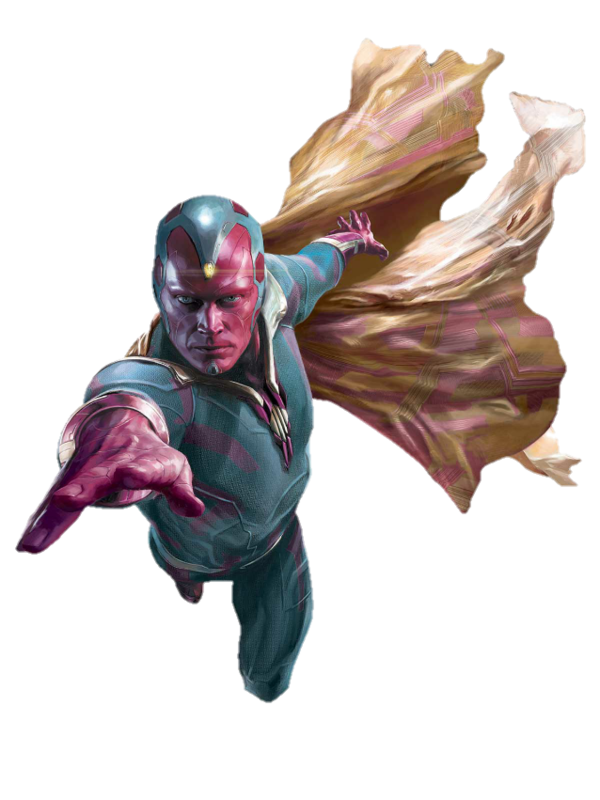 This stone both allows Vision’s body to animate as well as provides it with a number of unique abilities. These include super-strength, manipulation of energy to create energy blasts, and the ability to alter Vision’s own density, allowing him to become extremely resistant to attacks or to become intangible. In addition, the AI implanted in Vision, originally known as JARVIS, boasts an extreme intelligence. Since his creation, Vision has taken on a life and personality of his own, fighting on behalf of righteousness and protecting those in need. That’s it for this week! If you end up introducing Vision into your game or you have any request for a future Monstrous Physique, please drop me a line at KnowDirection@hotmail.com.